The evolutionary stages for each state are crucial to foresee its fate. After the 2011 revolution events, Egypt suffered from decline in all economic indicators. Nowadays, people live a new age of comprehensive economic reform. 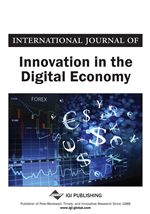 This article focuses on studying digital economy as one of the future economic aspects that helps achieving the sustainable development, and how to apply it in Egypt. It illustrates the global development in the digital economy; the current economic conditions in Egypt; the expected contributions of the digital economy to the Egyptian economy; the government efforts exerted towards building a digital economy; and the main elements supporting it. The Egyptian economic system depended on the rentier economy for a long time. The government has argued economic policies based on support consumption of people more than the optimal levels for each class, so the consumer should depend on his level of income. Moreover, the government has subsidized foreign importations till the last couple of years in order to earn a political and social advantage. The state ought to focus on increasing productivity and supporting factors of production for domestic producers. When the state focuses on the scaling up of the GDP per capita, the income of an individual will be increased to be able to face the economic fluctuations, without large governmental intervention to support the low and middle-income levels. Therefore, the state decided to change the previous conditions by economic reform plans in the Presidential era of Al-Sisi that began in 2014. The natural development of economy goes to the best of all aspects that reflect at SNA, so the economic philosophy aims to enhance and develop the economy by social capitalism. The digital economy is considered one of the best economies and a therapy for the weaknesses of the economic system which suffers from distortions in the economic structure. The digital economy is more feasible than traditional economies, and most developing and emerging countries will benefit from it. These digital activities depend on online service request as the only digital part; however, the cash and plastic money are still dominating the payment methods. Actually, these activities are not sufficient to achieve the digital economy; and as Egypt is in the preparation stage for establishing the digital economy to achieve sustainable development, the government ought to catch up with the world digital advancement to achieve the required goal.